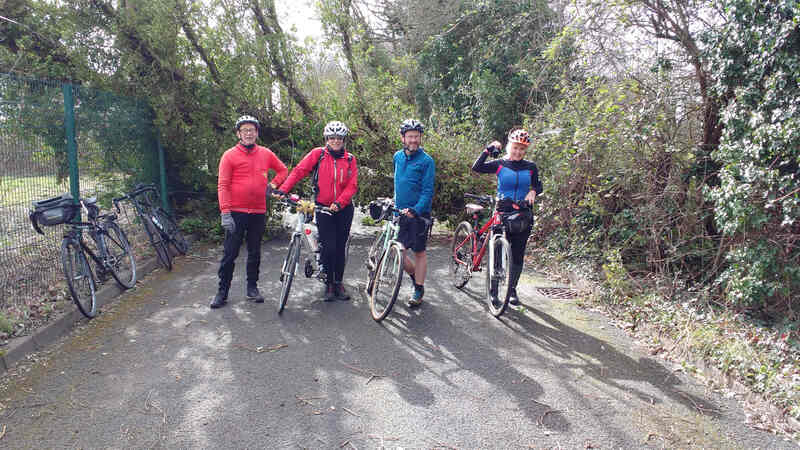 Five of us met up on a windy Twickenham Riverside and threaded our way through the car park and so down to Hampton and , against a stiff wind , up the Thames to Chertsey. En route we had to crawl under a fallen tree and pass bikes over the top. The hills beyond were mercifully sheltered from the wind by the trees although there was a short shower. After Lunch we had the wind behind us and made good speed back to Walton where we sampled a rather muddy river path so that we decided that Tea (and cakes) at the Cricket Club would aid recovery. The council is consulting on its “Local Implementation Plan” – £1.5m a year of transport spending for the next three years – and they have to make it good, to get the money from TfL. The consultation is here and you can read the full document as a PDF link here. Our final response is below – please have a look and take a moment to tell the council what you’re really interested in seeing the money being spent on. 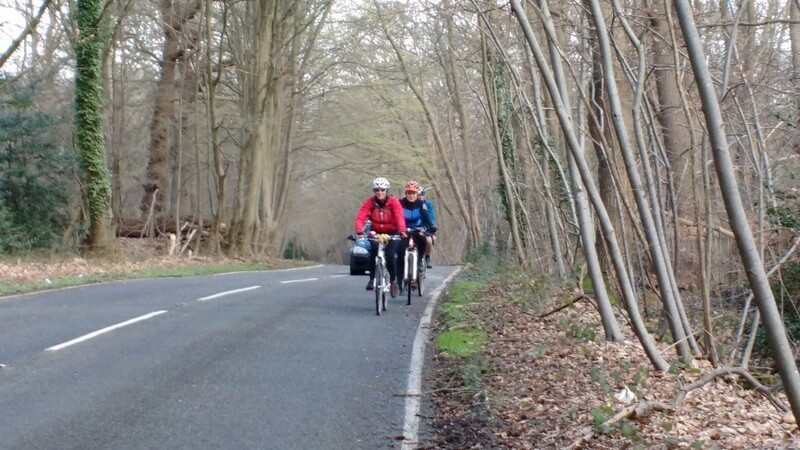 This isn’t what our transport spending should be supporting ..
Richmond Cycling Campaign opposes the borough’s LIP3 submission. We have talked to both officers and councillors, and we believe that there is both the interest and the will to pursue what we would characterise as ‘proper’ walking and cycling for our borough. The LIP acknowledges the comparatively high levels of walking and cycling which Richmond enjoys, compared to other outer London boroughs. 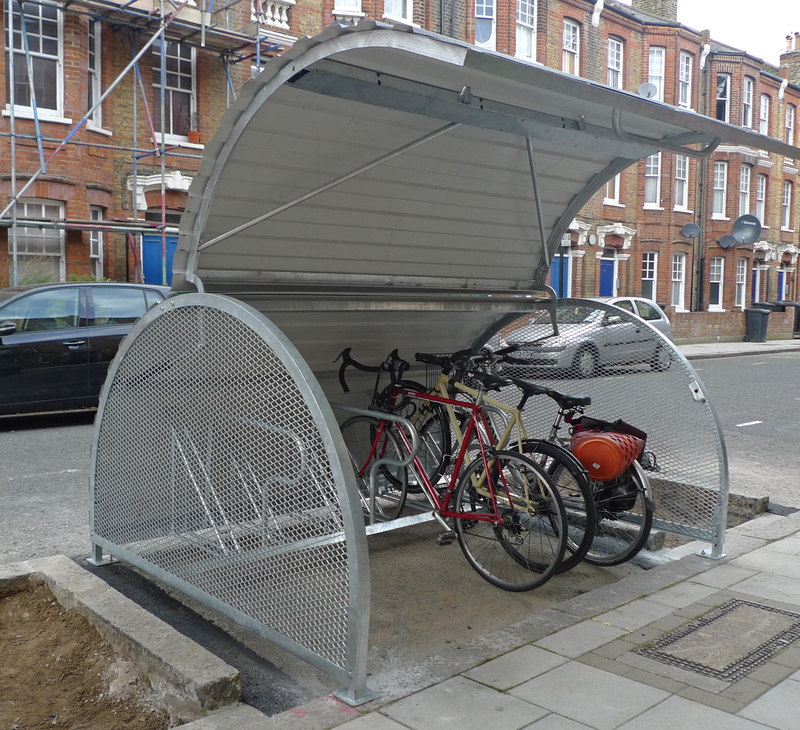 However, it does not provide sufficient detail or strategy to show how the borough will deliver the hoped-for improvements in walking, cycling and public transport use. 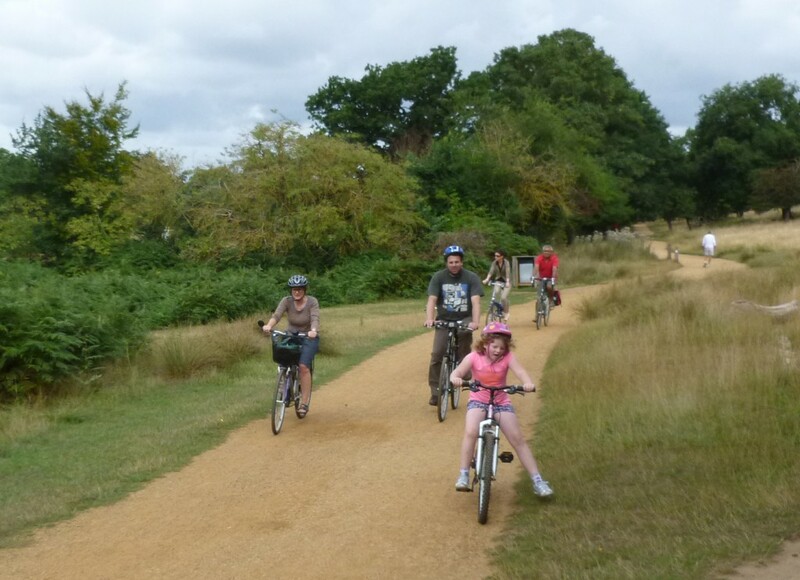 We welcome the borough’s objectives of making safe, active travel an option for everyone. We also support the aspirations to make public transport better, and the proposals for the enablers around these activities. 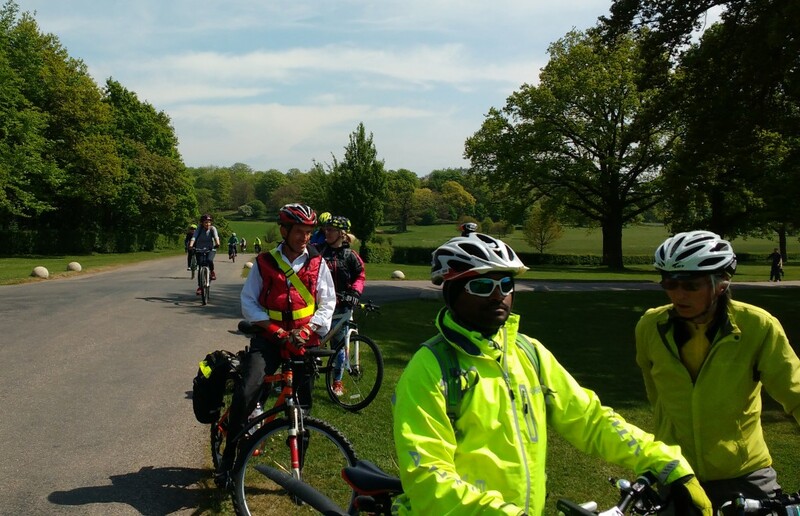 Richmond Cycling Campaign believes that the LIP – as a document which sets out our strategy not only for the next three years, but for the further future – lacks sufficient detail for goals, and lacks a strategic network plan. 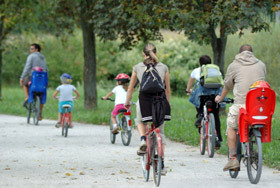 • Want to engage properly with Bike Week, and other activities like this: car free day, etc. While we recognise that both officer time and budgets are highly constrained, we believe that the borough should state its ambition for these things, so that we have a delivery plan to aim for: a plan which lists our bus stops, our schools, our doctors’ surgeries, and our routes, and prioritises them, is something we can constantly strive to achieve, and constantly measure against. We would like to propose that the borough seeks funds to be part of the Ultra-Low Emissions Zone. The current plans will cut the borough in half, with enforcement on one side but not the other. If cutting emissions is good enough for central London, it should be good enough for us, and we believe that the council should ask TfL to explore ways to bring the whole of the council area into ULEZ. We believe that the Equality Assessment is an opportunity for the council to shout loudly about how addressing the previous emphasis on driving is a significant step towards removing inequality in the borough. A robust LIP and associated policies is a clear signposting of such ambition. P13/14: too many of these also have ‘improve’ or ‘seek’ or similar: either we want to do these, or we don’t. P14 – major developments: the borough should not be accepting major developments without travel plans which provide genuine walking and cycling facilities which are better than those for driving. “It is expected that by 2021, 15% of the population will be with 400m of the [strategic cycle] network”. P15: the quietways map is not good enough as a plan for a strategic cycle network. Our plan should include not only these plans, but also all the SCA analysis, and whatever borough plans we have building on existing infrastructure to create a borough-wide network. The network should be accessible to all 8-80+ using segregation / filtering as appropriate. At a minimum plans for the 2 SCA priority routes identified ( Twickenham -Teddingt on , Sheen-Putney) will be drawn up by the end of 2019. 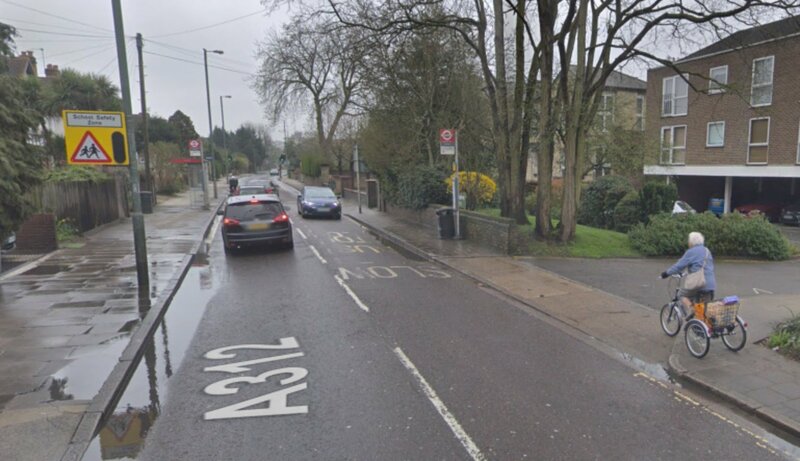 P16: Ofo has withdrawn from the borough, so we probably need to recognise this somehow. P18: Borough objectives. We should state that every one way street in the borough will be contraflow. Unless there is a compelling reason otherwise. Can we commit here to School Streets for every school that wants them? P19 appears to propose ‘education and training’ for walking. If we think we need to educate people to walk, we’ve failed. “Seek to minimise impact of level crossings on pedestrians and cyclists” doesn’t really offer anything: it’s a vague aspiration with no action attached to it. This is the kind of thing which could be specifically analysed as part of the planned expenditure. P22, fig 9: how did we get to these as a trajectory? There’s no immediate activity which will encourage this. P24: increasing permit prices for diesels is only going to be a partial fix, and in any case is likely to simply result in the borough providing an either direct or implied subsidy to those able to buy new cars, whilst not really providing any discouragement for csr ownership (if that is the goal). P24 – borough objectives. These could also be clearer and more specific. We recognise that not all of this can be done at once, but we want a ‘menu’ of activity so that the council is constantly pursuing useful, agreed plans. P25: Clean and green. Is there anyway we can extend the ULEZ to our borough, too? If TfL is setting this up, why not ask for its extension, with borough support? P29: aiming for all bus stops to be accessible. Can this be identified somewhere as a specific target? P29: accessibility of train stations. Need to also list our stations, and have a plan. P32: sustainable development … we should identify that the challenge here is making developers write proper travel plans which put walking and cycling first. P33 – transport investment. Perhaps a good thing to spend money on would be to understand capacity of transport in the borough: for example, how does it work if we build new developments which feed commuters into the train services into central London, like Mortlake or North Sheen? Should we be looking to get more people to fast service stations like Richmond? P34: we should identify the major projects we have, and say what we think we need from them, and what the concerns are. P37: Speed indicator devices are rotated, but no data is gathered from them, which makes them a little bit of a sticking plaster. P37: Mentions a study to improve walking and cycling in the south west. Not clear what this study is – is it referenced in the spending plans? P43: We should be considering whether a work place parking levy is an appropriate measure to take. P45: missing text “Pedestrian and cycle bridge connecting …” Presumably Twickenham and Ham. P50: the biggest risk is that the lack of specifics in the plan mean we won’t deliver anything. P55: local targets. It is quite unacceptable to have a target of 300 EV charging points, but just 100 bicycle stands. P56 onwards: Table ST07 should have current values, and targets for interim years, too. P59: outcome 5 – a good public transport experience. Increasing ridership on public transport is a good thing, but we must recognise that this should not be at the expense of walking and cycling numbers. We should state explicitly that increasing public transport use can only come from discouraging ( sorry but if we want modal shift this has to happen) private car journeys. 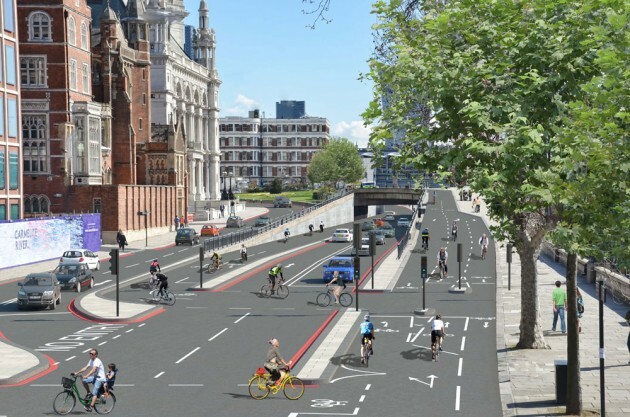 P57 outcome 1 : The borough will engage with TfL to suggest and facilitate the spread into the borough of the London cycle network. 60: Outcome 9. 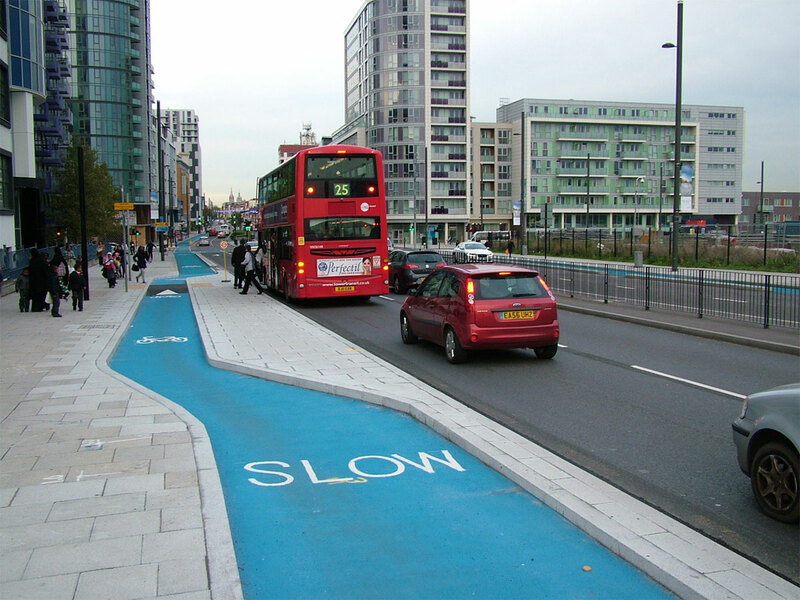 “Active, efficient and sustainable transport will be the best option in new developments. “ We should identify all current developments, and have a specific plan about how all new developments will have this baked in. The proposed new site for Turing House School will be an exemplar for this approach. A307 Kew corridor. 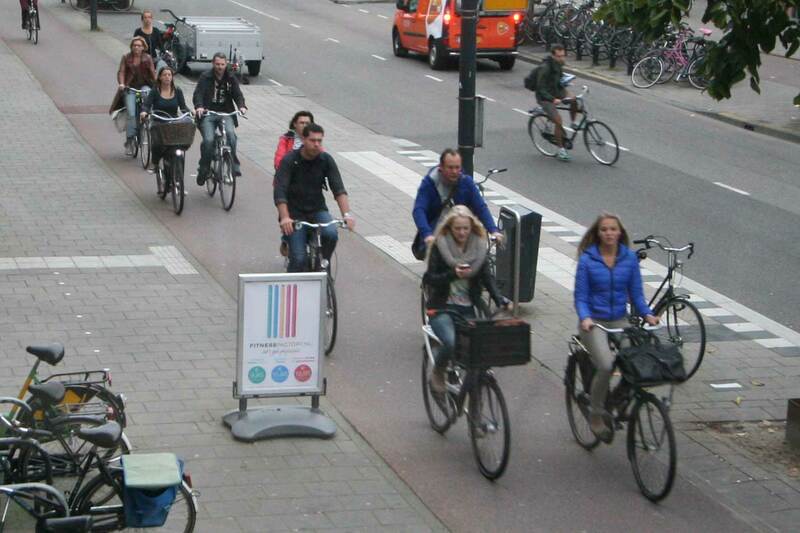 This needs a cycle lane. Badly. This proposal just puts off doing anything. “Borough wide collision investigation”. What will this tell us? Looks like 5k pa which won’t lead to anything. A310 again 280K on a study. For free we have substandard cycle lanes hard up against parked cars and giving up at Waldegrave Rd junction. 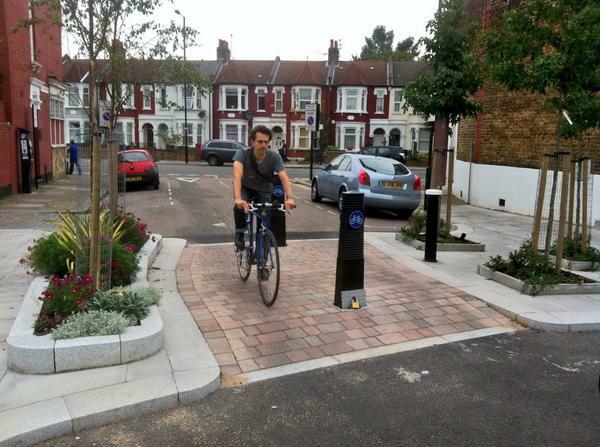 Safe for cycling would be a 2 way segregated track on the east side. If too financially / politically expensive promote alternative route. Future safety schemes. Looks like 191k of vagueness. It is not quite clear why stations need 50k studies: would it not be preferable to do one station at a time, and get it done? Barnes High St neighbourhood scheme. This is £260k over three years for a place which is a traffic sewer. This money is highly likely to be wasted if there is no traffic plan associated to it, and no cycling plan. Our traditional post-turkey jaunt. 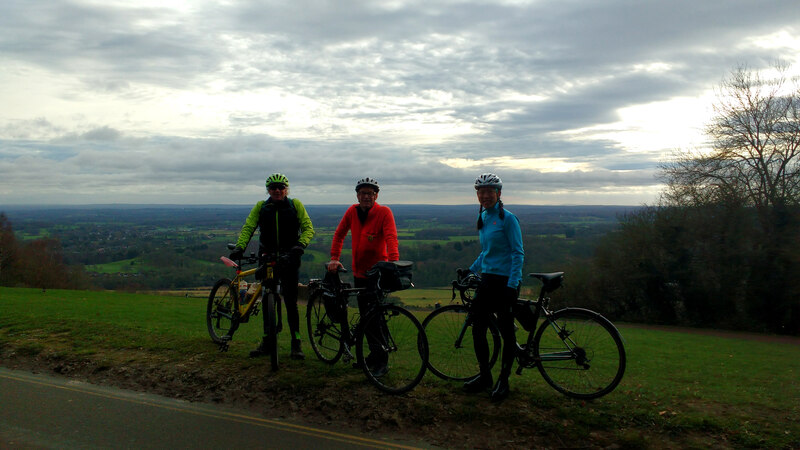 On/off road quiet and scenic route to Box Hill then a steady climb to the viewpoint and lunch in NT Cafe at the top (as the pub we used to patronise is now a trendy wine-bar). Enjoy a switchback descent taking us most of the way home. About 40 miles in total. Better bring lights but expect to get back before 4. Four of us met up on Twickenham Riverside. After a generally dry few weeks the going over the commons was good and we were treated with glimpses of sun. After a quick snack at the top we zoomed back getting back to Twickenham at about 2pm. Is this a record ? Please support Richmond Council’s 20mph consultation today. 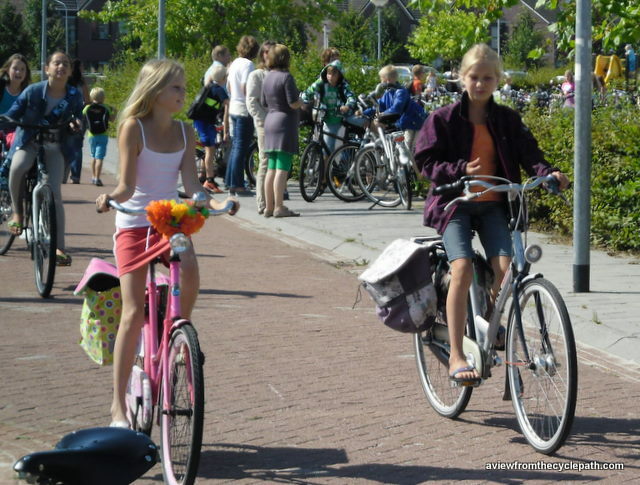 Assen (NL) school run – could Richmond upon Thames be like this? Traffic speed is a major cause of collisions on our streets, and faster speeds mean worse collisions – the evidence on this is very clear. We also know that children under 15 are particularly vulnerable as they can’t detect vehicles approaching at speeds greater than 20mph1. For every 1mph speed reduction, the risk of crashes drops 6% 2, and the risk of injury with it. Our roads don’t feel safe enough for many parents to feel safe with their kids walking, scooting or cycling to school. Kids love being active, and evidence shows walking, cycling and scooting to school makes them more alert, as well as boosting their mood, and helping them maintain a healthy weight and grow stronger3. Supporting 20mph in Richmond would be a big help in making our streets feel and be safer, enabling more of us to ditch the car on the school run. 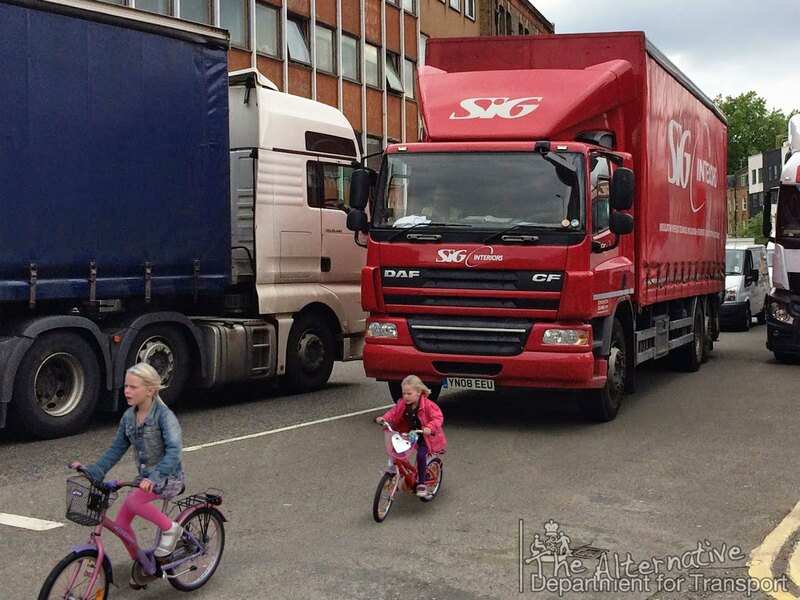 So we need you, your families and staff to reply to this consultation – cos there are lots of drivers in Richmond who don’t want to slow down, and don’t, it seems, care about our children’s safety or the air they breathe. Perhaps you could share a note from us in your school newsletter, mention the consultation at assembly, or ask your PTA to share something with your parents and carers and help drive (ahem) home the message we need this change.